Chul Chun wurde in Südkorea geboren, wo er auch seine Schulausbildung absolvierte. Er studierte an der Theologischen Fakultät der Universität Hanshin, ferner arbeitete er als wissenschaftliche Hilfskraft an verschiedenen theologischen Instituten. Im Jahr 2000 schloss er das Studium mit einer Arbeit über Alfred North Whitehead ab und wechselte nach Heidelberg, um mit einem Stipendium des Ökumenischen Rates der Kirchen über Whitehead zu promovieren. Er hat unter der Betreuung von Prof. Dr. Dr. Dr. hc. Michael Welker seine Dissertation über das Thema Kreativität beim Alfred North Whitehead an der Theologischen Fakultät der Universität Heidelberg im Jahr 2007 geschrieben. Seit 2014 ist er Professor für Systematische Theologie an der Hanshin Universität in Korea. »Whiteheads Verständnis von körperlichen Erfahrungen in seiner fruhen naturphilosophischen Phase«, The Journal of Whitehead Studies 17, December 2008. (Seoul : The Whitehead Society of Korea, 2008.12), 9-34. »Schmerz - Hans Georg Gadamer«, Theological Studies 52, Winter 2008. (Seoul : Theologische Fakultät der Universität Hanshin, 2008. 12. ), 311-326. »Eine Studie über Active Information bei John Polkinghorne«, Korean Journal of Christian Studies, Vol. 62. 2009. (Seoul : Korea Association of Christian Studies, 2009), 269-290. »Das Verhältnis zwischen System und Umwelt beim späten Whitehead : Die Begriffe Duration und Strain in seinem metaphysischen Werk Process and Reality«, The Journal of Whitehead Studies 18, Juni 2009. (Seoul : The Whitehead Society of Korea, 2009.6), 125-147. »Ökologische Kommunikation bei Niklas Luhmann«, New Heaven and Earth 16, Juli 2009 (Seoul : The Institut of Environment of Korean Church, 2009.7), 56-60. »Über die Vereinbarkeit von Wissenschaft und Theologie«, Philosophical Studies, Vol. 111. 2009 (Seoul : Korea Philosophical Society, 2009.8), 265-287. »Okologie des Geistes bei Gregory Bateson - Der okologische Status Geist im Bateson’s systemtheoretischen Denken«, Philosophical Studies, Vol. 86. 2009 (Seoul : Philosophical Studiesl Society, 2009.8), 249-274. »Der Begriff event bei Alfred North Whitehead und seine theologische Bedeutung «, Theological Thought, Vol. 146. 2009 (Seoul : Korea Theological Study Institute, 2009.9), 77-98. »Eine Studie über Anschauung bei Friedrich Schleiermacher«, Korean Journal of Christian Studies, Vol. 65. 2009. (Seoul : Korea Association of Christian Studies, 2009), 83-105. »Das Leib-Seele-Verhältnis bei John Polkinghorne«, Philosophical Studies, Vol. 112. 2009 (Seoul : Korea Philosophical Society, 2009.11), 297-317. »Eine Studie über Synchronizität bei Carl Gustav Jung«, Korean Journal of Christian Studies, Vol. 68. 2010 (Seoul : Korea Association of Christian Studies, 2010.4), 167-189. »Whitehead’s Concept of Proposition and Creative Advance of nature«, Philosophical Studies, Vol. 116. 2010 (Seoul : Korea Philosophical Society, 2010.11), 351-370. »Licht und Schatten der westlichen Theologie beim frühen Ahn Byung Mu«, Theological Thought, Vol. 152. 2011 (Seoul : Korea Theological Study Institute, 2011.3), 79-108. »A Way of my theological Life«, A beautiful University of my Life: Hanshin University (Osan: Hanshin University Press, 2011.2.28), 154-159. »Modernity and Christian Thought: About the Death«, Saegil Story, Vol. 40. 2011 (2011.3.6), 163-180. »Eine soziale Bedeutung von Suende im Hinbllick auf das Christentum«, Korea Journal of Systematic Theology, Vol. 30. 2011. (Seoul : Korea Society of Systematic Theology, 2011.9.30), 107-132. »Eine Studie über die Kritik der Minjungtheolgie an der westlichen Theologie«, Korea Journal of Systematic Theology, Vol. 30. 2011. (Seoul : Korea Society of Systematic Theology, 2011.9.30), 107-132. »Weltethos of H.Kueng«, 100 Books for Theology Student (Seoul: credo and ratio, 2012.4), 73-75. »Der Baum der Erkenntnis of Maturana and Barela«, 100 Books for Theology Student (Seoul: credo and ratio, 2012.4), 189-191. »Matter, Life and Human of H.I. Chang«, 100 Books for Theology Student (Seoul: credo and ratio, 2012.4), 250-252. »Creatio ex nihilo, Continua and Creatio nova«, A hidden Story of Christianity (Seoul: Jari, 2012.4), 96-106. »Eschatology: End of Body and Eternity of Life«, A hidden Story of Christianity (Seoul: Jari, 2012.4), 107-118. »The Theological Meaning of Social Network Service«, Media and Feminist Theology (Seoul: Dong Yeon, 2012.5), 132-153. »The Resurrection of Jesus Christ and Change of Korean Church«, Annual Easter Unity Service in Korean Church (National Counsel of Church in Korea, 2012.5), 16-18. »Privacy and Publicity of Korean Church : in the Systematic Theological Approach«, Symposium on Privacy and Publicity of Korean Christinity (Korea Association of Christian Studies, 2012.7.6. ), 23-24. »System Theory on Alfred North Whitehead and Niklas Luhmann : System und Umwelt«, Annual Symposium on Interdisciplinary Study on Alfred North Whitehead (Korea Whitehead Society, 2012.10.20. ), 46-56. »A Assignment for the Public Paradigm in Korean Church«, God of Life, Lead Us Justice and Peace! - 61th General Assembly of National Councel of Church in Korea (National Counsel of Church in Korea, 2012.10.20. ), 46-56. »Zum Verhaeltnis vom Geist und Natur beim fruehen Alfred North Whitehead«, Gregor Etzelmueller/Heike Springhart (Hrsg. ), Gottes Geist und menschlicher Geist (Evangelische Verlagsanstalt / 2013.1.29), 61-68. »A Study on Ham Sok-Hon's Theory of Life«, Korean Journal of Christian Studies, Vol. 88. 2013 (Seoul : Korea Association of Christian Studies, 2013.7), 113-134. »Ecology of Mind: Gregory Bateson’s Understandings of the Sacred«, Theological Studies 63, Winter 2013. (Seoul : Theologische Fakultät der Universität Hanshin, 2013. 12. 31), 155-185. »A Study on the Concept of the Realism of Love as Identified by Janggong Kim Jae-Jun«, Theological Forum, Vol. 76. (Seoul: Yonsei University, Theological Faculty, 2014.6.30. ), 325-348. »A Study on Relational Ecclesiology of Dietrich Bonhoeffer«, Korea Journal of Systematic Theology, Vol. 38. 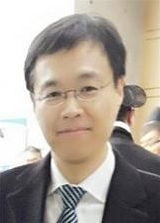 (Seoul : Korea Society of Systematic Theology, 2014.6.30. ), 343-371. »Eine Untersuchung ueber die Theologie der Natur bei Changgong Kim Chai Choon«, Theological Studies 65, Winter 2014. (Seoul : Theologische Fakultät der Universität Hanshin, 2014. 12. 31), 71-94. »A Study on the Concept of Immortality of Alfred North Whitehead«, The Journal of Whitehead Studies 29, December 2014. (Seoul : The Whitehead Society of Korea, 2014. 12. 31), 30-55. »A Theological Study on Niklas Luhmann’s Systems Theory«, Theological Studies 66, Sommer 2015. (Seoul : Theologische Fakultät der Universität Hanshin, 2015. 6. 30), 33-58. »A Study on Manu Song Chang Keun’s Ecclesiology«, Theological Studies 67, Winter 2015. (Seoul : Theologische Fakultät der Universität Hanshin, 2015. 12. 31), 119-143. »Eastern-western multi-paradigmatic Research on Correlation between Ancestor and Descendant - Focusing on Zhu Xi’s Theory of Correlation and Carl Jung’s Theory of Synchronicity«, Studies in Confucianism 34, Spring 2016. (Daejun: Confucianism Research Instutute, Chungnam National University, 2016. 2. 29), 345-370. »The Ecumenical Movement in the 21st Century and its Tasks - From the Perspective of “The Church: Towards a Common Vision (WCC, 2013)” «, Theological Studies 68 Summer 2016. (Seoul : Theologische Fakultät der Universität Hanshin, 2016. 6. 30), 85-110. »Dialogue between Minjung Theology and System Theory ― A Perspective on System Theory from the Definition of Life in Minjung Theology«, Korea Journal of Systematic Theology, Vol. 46. (Seoul : Korea Society of Systematic Theology, 2016.12.31. ), 247-274. »The Crisis of Religions and Reconstruction of Theism ― Focusing on Whitehead’s Theory on Religion«, Journal of Religion and Culture, Vol. 27. (Osan : Center for Religious and Cultural Studies, 2016.12.31. ), 245-267. »Study on Dasan Jeong Yak-Yong's philosophical Huamnism: Centered on the creative Reconstruction of Mind-Body Theory and Morality Principle« The Journal of Asian Philosophy in Korea, Vol. 46. (Seoul: The Society for Asian Philosphy in Korea, 2016. 12. 31), 193-223. »Kenosis: A View from the Humanities ― On the Social Possibility of Self-Emptying« Theology and Society, Vol. 31 (Seoul: Academy for 21th Century Christian Society & Culture, 2017. 2. 28), 9-40. »A Study on Gregory Bateson’s Theory of Eco-Religion ― Centering on Gregory Bateson’s Ecological Communication Theory of Mind« Studies on Life and Culture, Vol. 43. (Seoul: Research Institute For Life And Culture Sogang University, 2017. 2. 28), 51-86. »An Implication of the Discourse between Religion and Science on the History of Civilization«, Theological Forum, Vol. 87 (Seoul: Yonsei University, Theological Faculty, 2017.03.31. ), 295-321. »A Study of Modernity on Theology of Nature: A Reconstruction of Theology of Nature for the Future of Human Beings and Nature«,Theological Studies 70 Summer 2017 (Seoul : Theologische Fakultät der Universität Hanshin, 2017. 6. 30), 45-73. »Theology of Nature and Science of Nature«,Theological Studies 71 Summer 2017 (Seoul : Theologische Fakultät der Universität Hanshin, 2017. 12. 31), 155-179. Theological Thought, Vol. 146. 2009 (Seoul : Korea Theological Study Institute, 2009.9), 77-98. »Two Horizons of Interpretation: The Presentness of Tradition and Traditon of Presentness«, Christian Thoughts 716 (2018. August / 2018.8.1), 215-220. »The Intelligence of God and the Intelligence of Things: A Theological Study on the Nature of Intelligence« Theological Thought 183 Winter 2018 (Seoul: Theological Thought Institute, 2018.12.31), 79-109. »Ecological Civilization as a Mirror of Dialogue between Religion and Science: Dialogue between Science and Religion Towards Ecological Transition«, Theological Studies 73 Winter 2018 (Seoul : Theologische Fakultät der Universität Hanshin, 2018. 12. 31), 7-28. »Religion and Science from the Viewpoint of Science and Technology Studies (STS): Research on the Meeting of Scientific Facts and Religious Values«, Theological Studies 73 Winter 2018 (Seoul : Theologische Fakultät der Universität Hanshin, 2018. 12. 31), 29-53.